111Skin is a brand that I haven't used before I got this mask. I received this in a glossy box and was really thrilled to be able to try something from the brand. 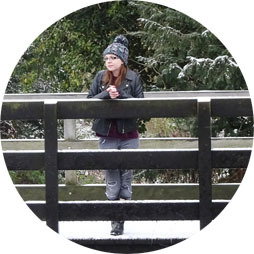 I love skin care and often don't dabble in higher end skin care as it can be quite costly and although in a a lot of ways my skin doesn't seem to care what I put on it, when it does react I know its not worth the hassle. I love a good face mask though and so I was so excited to use this! I didn't end up using this when I got it and was using other things, so I decided to save this to use post op to make me feel better with a bit of a pamper. The sachet has one mask within it and is similar to a sheet mask, but is more of a jelly texture. The sachet is a nice way for it to be packaged, although larger than some mask packaging it is easy to store and I just slid it down the side of my skincare shelf propped between the shelf wall and the skin care bottles. I love the almost marble like print on the sachet with the gold detail to show the gold features of the mask. When you take the mask out of the packet it has a clear film on one side of the mask and a white film on the other. It instructs to cleanse the face, remove both film sheets and then apply to the skin. 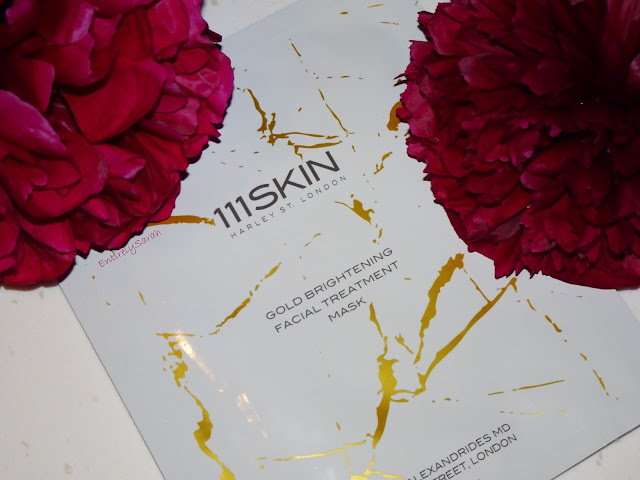 The mask is a beautiful transparent gold gel like formula with shimmering gold running through it. Containing real gold within the mask gives added skin benefits and does make the mask look very beautiful and appealing to look at. I didn't know explicitly if there was a correct side to use so I just slapped it on and hoped for the best! The mask had a chemically scent which made me think it was really working and got ingredients in to really work with my skin and give it a boost, however it was a bit strangely scented for my liking. I always find these are too big for my face, but I kind of just make them work and fold the edges under my chin and back to slightly cover the edges of my ears. This one was a decent fit, maybe a little too long on the nose portion and a little too long on the chin part. The serum makes the mask feel slippery and while it is good it has a lot of serum on the mask, it made it too slippery. I put the mask on and laid back in the bath, slightly propped up, as you would so lay with your head and shoulders up out the water but still resting on the back of the bath and began reading a book. As this could stay on for about 20 minutes I didn't feel a need to rush in the bath and was quite happy laid in the warm water reading my book,every few minutes, mainly the chin area began to slip down and then the part covering the area about the mouth and below the nose was slipping covering my mouth. I found this really uncomfortable and had to readjust it quite a few times. As it slipped down my face and I was so close to being laid down I feel this isn't a mask that is suitable to wear when doing anything other than laying down or at least leaning back to allow it not to slip off the face. Although I tend to only use face masks when laid in the bath relaxing I find this a little tedious as I do know a lot of people who like to wear a face mask while doing other things and so this would be out of the question. The mask left my skin feeling soft and plumped, as well as moisturised and hydrated, and I do feel like my skin responded well to the mask. I do think the combination of the slippery mask and the fact that it is rather on the pricey side for a single use face mask makes it quite hard to justify. The mask is £20 and can be found at Harvey Nichols here if you are interested, however I feel like I can get similar results with good skin care and using an oil to plump and hydrate my skin in the evenings and using a moisture mask when my skin is slightly more dehydrated or dry. While this was nice, and if I received another in a beauty box, or happened to be gifted one from someone I would use it again and it is nice enough to use again it really isn't one I enjoyed enough to buy myself and so I will be on the look out for similar masks to put to the test to see how they may compare.